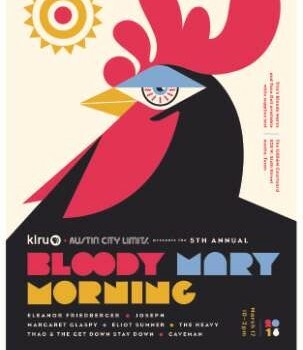 Austin City Limits is happy to announce the fifth edition of Bloody Mary Morning, our annual feel-good, barn-burner of a party during South By Southwest. 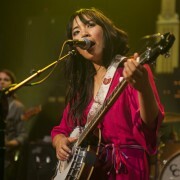 On Thursday, March 17, starting at 10 a.m., enjoy performances by Eleanor Friedberger, Joseph, Margaret Glaspy, Eliot Sumner, The Heavy, Thao & the Get Down Stay Down and Caveman. Even better, you can listen to music while enjoying free (while supplies last!) Bloody Marys from Tito’s Vodka and breakfast tacos from Tacodeli. This year’s Bloody Mary Morning takes place at GSD&M and is brought to you by our friends People Pattern, ATX Seed Ventures, Rambler On, Shiner, New Musical Express and, of course, KLRU-TV, Austin PBS. You don’t need to be a SXSW badgeholder to attend – Bloody Mary Morning is free and open to the public. You can RSVP here.